Heavily armed police officers have attacked and shot dead an unarmed school boy in the Eastern suburb of Freetown, sparking anger and accusation of yet another police mob justice, brutality and cover up. The school boy Alhaji Rabo was last Monday 11 November, taking part in a protest against street traders occupying the walkway and immediate vicinity of a local school where he attended. According to local media reports, the police have lied about the circumstances leading to the death of the school boy. They claimed that their officers were simply reacting to a rioting crowd of pupils, justifying their use of tear gas and batons to control the crowd. They denied using live ammunition rounds. But post mortem carried out by pathologist Owiz Koroma clearly records that the boy was shot in the back, with a chest exit wound caused by a bullet. Police Chief Munu is running an unprofessional, unaccountable, trigger happy force that is unfit for purpose. Another innocent young life has been destroyed by the police in cold blood. It is now time for Munu to move aside and make way for a more competent IG. Alhaji Rabo was a student at an Islamic Secondary School, located in the densely populated neighbourhood of Guard Street, Eastern Freetown. Pupils at the school took matters into their own hands after years of neglect by the government and failure to take action against street traders plying their trade in front of the school. 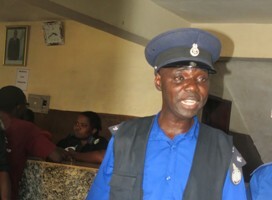 According to the police media spokesman – Assistant Superintendent Ibrahim Samura (Photo), officers ‘fired tear gas canisters to control the pupils and stop the destruction of private property. He denied any killing, but reported that some of his officers had sustained serious injuries. The school is said to be one of the worst performing secondary schools in Freetown, due to lack of resources, noise from the traders, poorly paid teachers and dilapidated classrooms. Despite government’s propaganda about increasing its spending on education, the reality is that few schools are achieving the expected standards of performance set by the West African Examinations Board. There are reports that the school has been blacklisted from taking part in examinations conducted by the West African Examinations Board, as it fails to meet minimum standards of teaching and learning. Sierra Leone has one of the lowest secondary school examination pass rates in the sub-region. Police violence against unarmed pupils standing up for their rights only adds to criticisms of a government that spends millions of dollars arming its police force, than invest in the future of young people in the country. But there is something more perverse about the way the police force is managed, trained and held accountable in Sierra Leone, and the president must bear the ultimate responsibility. Cobbled together by the British police force after the brutal ten year war which took thousands of lives and destroyed every facet of public and civil institutions, it was inevitable that most of those recruited to join the force were former rebel militias. 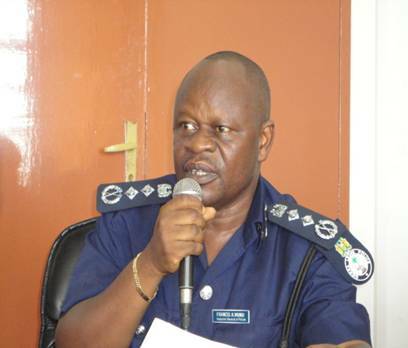 Successive governments in Sierra Leone have had twelve years of support from the international community and the goodwill of the people of Sierra Leone to establish a credible and professional police force that is accountable to the people for its actions. 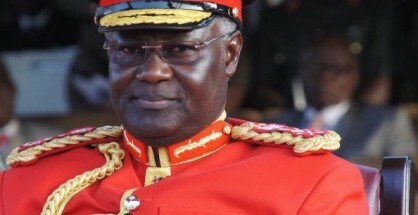 But president Koroma has been accused of politicising the police force, and is said to be closely moving towards curbing all forms of dissent in the country. Last year, a young unarmed woman – Musu Conteh was killed by police gunshot in the northern town of Bumbuna, attracting widespread condemnation and anger. Several people were injured and properties destroyed. The deceased was said to have joined hundreds of local people and local mining workers in protest against poor working conditions and low pay at the country’s largest iron ore mining company – African Minerals Ltd.
After several days of angry protest by the local community and mine workers, heavily armed police opened fire at the protesters killing the young woman. The protest at Bintumani was brought to an end when president Koroma visited the community and promised to hold an independent investigation into the killing. But the report of that investigation was never made public and police brutality was once again rewarded. In response to that brutal killing at Bumbuna, Amnesty International called on the government to instigate criminal proceedings against the police, for the unlawful killing of the young woman. “This irresponsible and abusive action by the Sierra Leonean police demonstrates a terrifying disregard for the rights, and lives, of the people they are duty bound to protect,” said Lisa Sherman-Nikolaus, Amnesty International’s Sierra Leone researcher. “A peaceful demonstration by mine workers ended in violence after police used arbitrary and excessive force. This failure of professional policing raises significant questions about the police’s ability to maintain order and respect human rights in what could prove to be tense elections in the coming months” – said Amnesty last year. Also last year, a police officer shot a young motorbike rider in rural York in Freetown. The York killing raised serious questions about the police rules of engagement and shoot to kill policy, as well as the poor lines of communication in the force’s chain of command. Why are inexperienced and newly recruited officers issued with firearms? 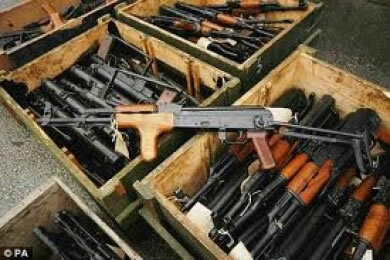 Why are firearms used in situations where the threat to life is not apparent and immediate? Has the government issued a shoot to kill policy to the police force? Why are the senior commanding officers responsible for the unit, not being held accountable and responsible? In addition to that police shooting in York, there were three other successive fatalities involving the use of police firearms in Freetown. The police shot and killed two innocent youths in Wellington – Eastern Freetown, whilst another innocent man was shot to death in Bo. What is now evidently clear is that the head of the police force – a cousin of the president is either no longer in control of his force, or is simply implementing president Koroma’s shoot to kill policy. Police accountability in Sierra Leone is non-existent, and the international community can no longer continue to fund a police force that turns its guns on innocent children, rather than protect lives. Inspector General Munu must be held to account and shown the door.